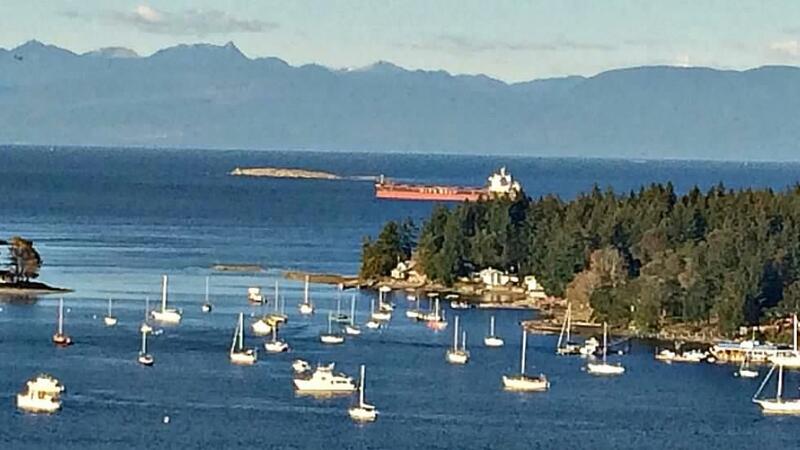 NANAIMO — A national strategy being developed to overhaul where and how large freighter ships can anchor has the attention of people on Gabriola Island. A previous plan by the federal government’s Pacific Pilotage Authority to create five spaces spanning most of the east side of Gabriola was suspended, according to authority CEO Kevin Obermeyer. The plan spawned severe local backlash on Gabriola two years ago and hasn’t resurfaced since the Liberals took office federally in the fall of 2015. “Transport Canada (TC) is developing a national framework for the identification of anchorages and best practices for behaviour at anchor for anchorages that are located outside the jurisdiction of a Canada Port Authority or a public port,” TC said in a statement to NanaimoNewsNOW. The statement said its freighter anchorages plan will now fall under the federal government’s Oceans Protections Plan. It added a plan will be developed in collaboration with several parties, including Indigenous groups, technical experts, the marine industry and local communities. “Local, site-specific knowledge will be taken into account to better assess a range of risks to both marine safety and the surrounding coastal environment,” the statement said. Gabriolans Against Freighter Anchorages president Chris Straw said while he’s encouraged a management structure will be set up, he hopes their concerns will be heard. Straw said their group has two main questions about an incoming policy overseeing freighter anchorages — how will policies around anchorages be enforced, since there hasn’t been any management strategy up until now. Straw said based on their recent correspondence with TC it appears the official consultation will likely begin in October or November. He disagrees with some people believing they’re taking a NIMBY(not in my backyard) approach or that Gabriolans aren’t on board with supporting the economy. Straw said his group has collected signatures from 6,500 people who oppose freighter anchorages off the east side of Gabriola Island.